When Temple University sophomore Katherine Gardner graduated from high school nearly 10 years ago, her biggest challenge working in retail was keeping her partial blindness a secret. "Every day, the context was, 'I have to be careful because I don't want to get fired today,'" said Gardner, 28. She never brought her white cane to work. Without asking for assistance, she spent hours memorizing every inch of the store, and where everything was kept. When she used the cash register, she worked slowly to avoid mistakes, while acting as if she could see perfectly. She feared that if her supervisors found out the truth, they would either treat her differently from the rest of the staff or find a diplomatic reason to fire her. 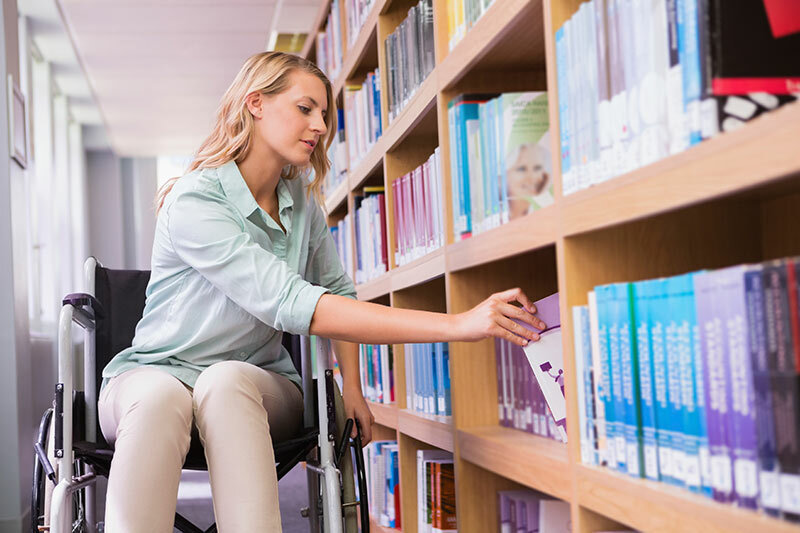 Gardner, who has come back to school and will graduate in two years, is not the only local college student with a disability who may face employment challenges in a fully able-bodied world. Philadelphia is home to more than 4,500 students with disabilities at four area universities and colleges, including 2,000 at Temple. There are hiring and firing laws in place to protect workers with disabilities, but it still can be difficult to find the right job. Temple and other schools use special programs designed to give students with disabilities a head start on employment. The Bureau for Labor Statistics reported that at the end of 2014, the unemployment rate for people with disabilities was 12.5 percent, compared with 5.9 percent for people without disabilities. About 17 percent of the disability community are employed, compared with 65 percent of those without a disability. Paula Brantner, executive director of Workplace Fairness in Washington, D.C., a non-profit organization that provides legal information to workers about their rights, said that employers can ask applicants with disabilities if they can do the essential functions of the job. That might include navigating in and out of cubicles and break rooms, or leaving through the emergency exit. A person with a disability may also request reasonable accommodations, such as a blind person using talking programs such as Zoom Text when they need to use a computer. Brantner said that an employee on the Autism spectrum who gets easily distracted by noise might need to work in a quiet area. "Hiring and firing decisions must be made based on job duties, not the disability," Brantner said. "A supervisor can fire a person with a disability if the disability interferes with the job," said Brantner. "If a grocery store bagger can't lift three pounds, then that's grounds for dismissal." Brantner said that if you show up for the job interview with a cane or a service dog, the employer cannot ask how severe your disability is, but they can ask the applicant questions about performing the job with or without special accommodations. After hiring, however, examinations may be required. "After you've been offered the position,” Brantner said, “you can be asked to take a medical exam if everyone else at the job had to take an exam and if it's related to the job itself." Alan Wright of West Chester, Pennsylvania, is founder and president of SosteNica, a firm that focuses on community and economic development in Nicaragua. He said he would consider hiring someone with a disability. "I would if the person's disability did not get in the way of doing the job that needed to be done," Wright said. "If I needed an accountant to keep track of my finances, if the person was in a wheelchair and could do the job, there'd be no problem." Still, a stigma is sometimes associated with workers with disabilities. Several other employers were also contacted but they felt uncomfortable discussing whether they would hire people with disabilities. Renee Kirby, associate director of Temple's Disability Resources and Services office, said it is often a challenge to find employment for graduates with disabilities. "That's an ongoing problem," Kirby said. "We do more than just teach our students how to write resumes and cover letters. We try to get them work experience while they're still students." Kirby said their office uses the Gateway program to get students placed in jobs. Students enrolled in the program have paid summer internships at federal agencies and other high-powered jobs throughout the U.S.
"Temple usually has about eight to 12 each summer," Kirby said. "It's competitive." She said that the employers decide which applicants to hire, based on their resumes, cover letters,and interviews. Temple’s disability office also tries to get students positions with other organizations. The Gateway program is not used by everyone. 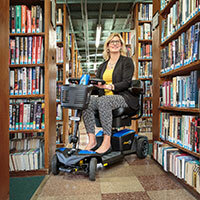 "We don't use it because it's too labor intensive," said Susan Shapiro, Director of Student Disability Services at the University of Pennsylvania. "We don't have the time for that. We make more of a difference with some of the other activities that we do." To prepare their students for the workforce, Penn's disability office collaborates with student service groups for projects. "We try to get our students internships," Shapiro said, "but we work individually with certain students because they prefer it that way." When Gardner graduates from Temple in two years, she hopes to go to law school, where she would ultimately advocate for blind and sight-impaired people who face job discrimination. "I wouldn't want them to face what I went through," Gardner said. For more than 20 years, David Block has worked as a documentary producer/director. His seven documentaries have been televised and screened at film festivals, with three of them winning multiple film festival awards. David Block is also legally blind, but his partial blindness has never prevented him from excelling in a visual field such as filmmaking. For more on David, visit www.blindfilmmaker.com.